Sauces are liquids that are added to other foods to add moisture or enhance the flavor. Some sauces are used as an ingredient when preparing dishes, whereas others are used on completed dishes. Many sauces can be bought ready-made in supermarkets and other stores, but in other cases they must be made from ingredients. Apple sauce - A purée made from stewed mashed apples. In many countries it is eaten with pork products, such as bacon, ham, pork chops, or roast pork. In German cuisine and Jewish cuisine, it is eaten with potato pancakes - in the latter case, it is eaten at Hanukkah on top of the potato pancakes (latkes) and topped with cinnamon. Barbecue sauce - This is a sauce applied to meat or poultry before cooking it on barbecue grill. There are many different varieties of barbecue sauce, most of which are based to some extent on ketchup or tomatoes, and it is possible to make your own barbecue sauce or buy ready-made made sauces. Béarnaise sauce (French: Sauce béarnaise) - This is a sauce traditionally eaten with steak. It is made from clarified butter, egg yolk, shallots, tarragon and vinegar. Béchamel sauce - A white sauce made by whisking scalded milk with roux (flour and butter). Béchamel sauce is often used as an ingredient in cooking, and is the basis for Mornay sauce. 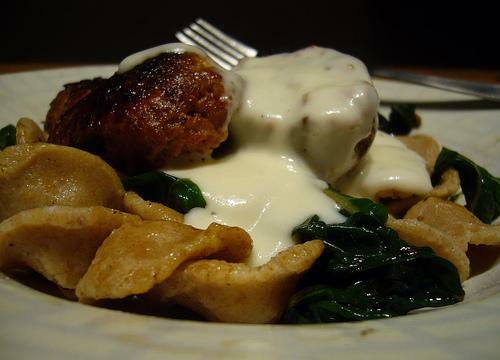 Bread sauce - Bread sauces are sauces that are thickened with bread. In British cuisine, it is made from bread crumbs, butter, and milk, and flavored with bay leaf, clove, onion, pepper salt. It is usually eaten with roast chicken or turkey, especially as part of the Christmas dinner meal. Turkish cuisine features a bread sauce made from breadcrumbs with crushed nuts (hazelnuts or walnuts). This sauce is served cold with chickpea salad, or with chicken or duck. Fish sauce - A condiment derived from fish that has been allowed to ferment. There are many different varieties of fish sauce - some fish sauces are made from raw fish, others from dried fish. All contain fish (or shellfish) and salt, but some also contains herbs and spices. Fish sauce is a key ingredient in a number of Southeast Asian cuisines include Cambodian cuisine, Filipino cuisine, Thai cuisine and Vietnamese cuisine. Gravy - This is a sauce, originallhy from British cuisine, made from the juices that run off meat or vegetables when cooked, usually with starch added. It is also possible to buy cubes and powders (simply add hot water) for making gravy, and gravy in a can. 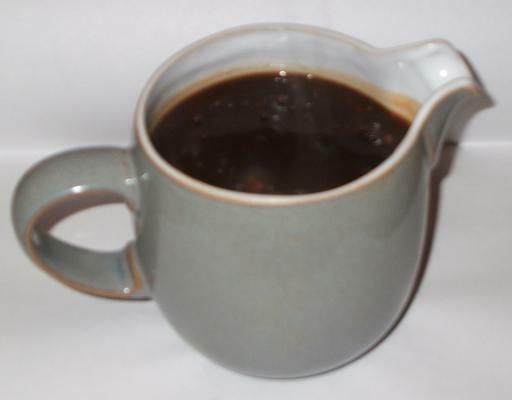 Gravy is served hot and poured on food, such as roasted meat or potatoes. Hoison sauce - Hoisin sauce is a dipping sauce (used as a condiment) found in Chinese cuisine. Its name, literally translated, means "seafood", but it does not contain fish, but is made from soy beans, rice, wheat flour, sugar, garlic, red chili peppers and water. Hollandaise - This is a sauce widely used in French cuisine (although it may have originated in Dutch cuisine). It is made from butter and lemon juice in egg yolks, and seasoned with black pepper, salt, and sometimes cayenne pepper. It is served warm, but not hot. Hot sauce (also known as "chili sauce" or "pepper sauce") - These are hot sauces made from chili peppers and other ingredients - there are a huge variety (thousands) around the world. Generally they are made by crushing the peppers, and infusing in alcohol, oil or vinegar. Other ingredients such as mustard or garlic are also added. Ketchup (also spelled "catsup") - A condiment sauce made from tomatoes, vinegar, corn syrup, and salt. Garlic, onions, herbs and spices are also added in many versions. Mayonnaise - A thick condiment sauce made from vegetable oil and egg yolks. 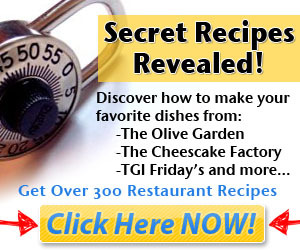 Many other sauces can be made from mayonnaise by adding seasonings or additional ingredients. Morney sauce - This sauce is often eaten with cheese or vegetables. It is made by adding grated cheese (usually half Gruyère and half Parmesan) to Béchamel sauce. Mint sauce - This sauce is found in Britisih cuisine and Irish cuisine, and is often eaten with roast lamb. The sauce is made from finely chopped mint leaves in vinegar with a small amount of sugar added. Oyster sauce - This is a thick sauce used in cooking in Cambodian cuisine, Chinese cuisine, Filipino cuisine and Thai cuisine. It contains oyster extract, although the amount in the sauce can vary quite widely between different recipes for the sauce. Pesto - This is a sauce originally from Genoa in Northern Italy, and widely used in Italian cuisine. It is used on pasta, boiled potatoes, sliced beef, and sometimes in minestrone soup. Pesto is made from basil, pine nuts, hard cheese (such as Parmigiano Reggiano), garlic, salt, and extra virgin olive oil. Soy sauce - A sauce made from soy beans, roasted grain, water and salt. It is used as a condiment and a cooking ingredient in a wide variety of different cuisines, especially in Asian cuisines. There are many different types of soy sauce. Steak sauce - Ready-made sauces that are served over meat. In the United Kingdom, these types of sauces are usually known as "brown sauce". Tartar sauce - This is a thick white sauce made from mayonnaise with pickled cucumbers, capers, onions and parsley added. Vinegar is also sometimes added. The sauce is often used to complement fried seafood dishes, and is also eaten with steak Tartare (a dish of finely ground raw beef or horse meat). Worcestershire sauce - This is a sauce originally invented in 19th century Britain. It contains fermented fish (anchovies), vinegar, molasses, corn syrup, onions, water, and a variety of spices. Worcestershire sauce is used as an ingredient in many dishes, and also a condiment (particularly with meat). It is also an essential ingredient in a Blood Mary (an alcoholic cocktail based on vodka and tomato juice).